Divorce Rights is managed by Winston Solicitors LLP. We offer you a professional, comprehensive and affordable family law legal service. We want to make sure you understand not only who we are, but how we work, and what you will get for your money. We are a firm of solicitors regulated by the Solicitors Regulation Authority. It is as important to us, as it is to you, that you receive a high standard of service, and good value for money. Please read through our Client Charter, so you understand how we work. Our fixed fees and hourly rates , are listed separately, and clearly, for you to read through at a glance. Divorce Rights is operated and managed by Winston Solicitors LLP. We offer you a professional, comprehensive and affordable legal service. Our family law team is headed by an expert family law solicitor who is accredited by the Law Society and Resolution (First for Family Law). Winston Solicitors LLP also offer a comprehensive family mediation service, called MyMediation, to help resolve issues around children and financial issues. Divorce advice available nationwide: London, Manchester, Birmingham, Leeds, Nottingham, Cardiff, Bristol, Bradford, Sheffield, Newcastle Upon Tyne, Liverpool and the Wirral and many more areas. 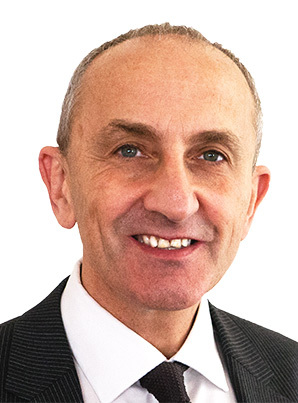 Howard is a fully qualified and experienced family solicitors and is a member of the Law Society Advance Family Panel and Resolution.